Versatile. 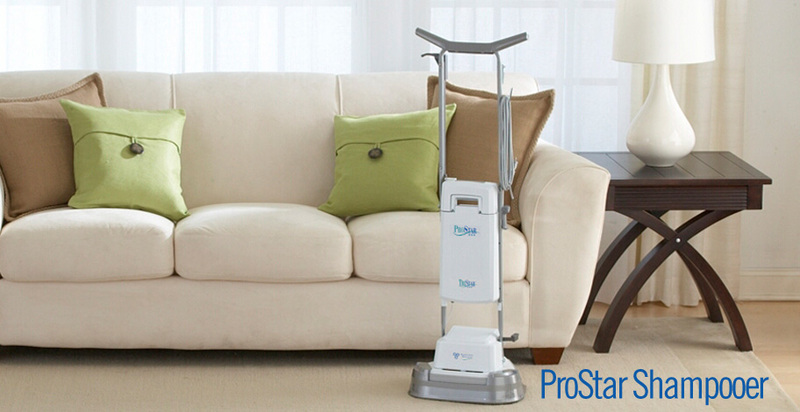 The ProStar can shampoo, wax or polish all your floors, whether carpet, hardwood, marble, tile or vinyl beautifully. Triple-brush system. A balanced triple brush system provides gentle, yet powerful scrubbing. Plus, special cleaning and polishing brushes are available for a high gloss shine on hard surface floors. Ease of use. The ProStar automatically turns off if the handle is dropped, and on when the handle is moved into place. 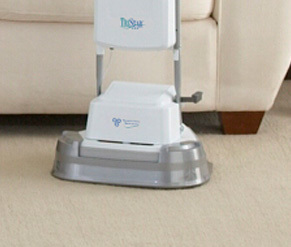 A fold down handle makes the unit easy to carry and store. Convenient. The shampoo trigger is located on the handle, conveniently placed at your fingertips and the large 3.6-quart (3.4 liters), removable tank is quick to clean and fill. Protect your furniture. A splashguard and wraparound bumper protects your furniture and walls while polishing or shampooing.